I had one of those days recently when nothing went right. I went to the wrong location for a meeting and had to scramble to reach the correct destination. My slides were a mess, and questions were asked that I could not answer. Later on, a project status meeting showed my assignments drifting from green to yellow, and yellow to red. When I finally returned to my office, there were six auditors waiting to speak with me. Oh, and my son called to request rent money that was due in 24 hours. When I got home that evening, dejected and disheveled, I suggested to my wife that I was contemplating retirement. “Well, I don’t want you around all the time,” she said warmly. That was the perfect coda to a perfectly awful day. Happily, things have stabilized on all fronts since then, so there is no rush to prepare for retirement. But other members of the Baby Boom generation are looking ahead more anxiously to retirement, and many are realizing that public and private preparations for their golden years are inadequate. This situation promises to have significant consequences for the American economy in the years ahead. Projecting demographics is among the more manageable aspects of economic forecasting. So we have known for decades that the post-World War II generation would be reaching the end of their working lives right about now. Given that long lead time, one would think that retirement regimes would be comfortably ready to meet their obligations. Instead, many public pension systems are dramatically underfunded. Reserves in the nation’s Social Security system are projected to be depleted in less than 20 years, triggering a reduction in scheduled payments. And the shortcomings of state and local pension systems are prompting some very difficult discussions between governments and beneficiaries. As an example, the Social Security trust fund is a “pay-as-you-go” system whose reserves can only be invested in U.S. Treasury securities—an asset allocation that few would recommend for long-term goals. 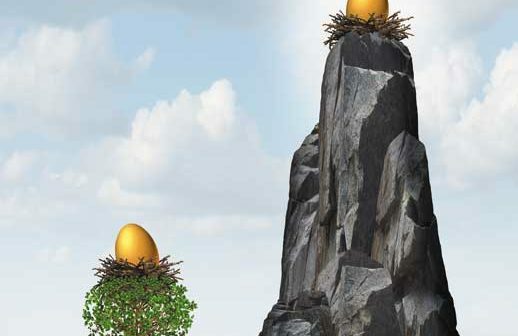 Private-sector preparedness for retirement is uneven. Evidence from the Federal Reserve’s most recent Survey of Consumer Finances reveals that while some households are in a very good position, many have few resources set aside for retirement. Again, here, flaws in both design and behavior have brought us to this point. In 1980, almost 40 percent of the American working-age population was covered by a pension plan. Since then, retirement benefits in the United States have moved decisively toward defined contribution structures like 401(k) plans. As an added complication, retirement horizons have been lengthening as people live longer. Those who reach 65 in the United States today can expect to live about 20 more years, on average. Many will need financial resources that last until they are well into their 90s. One reaction to all of this is that Americans are working longer than they used to. The labor force participation rate among people over the age of 65 has risen from 11 percent in 1991 to 19 percent today. Another reaction is the heightened level of emotion that surrounds any discussion of entitlement reform. For one-third of current retirees, Social Security benefits represent at least 90 percent of their income. And those benefits are far from generous: the average retiree is getting about $16,000 annually, which isn’t much above the poverty line. Solutions are elusive. We cannot turn back the clock and increase our saving rates or invest with the benefit of hindsight. But from here forward, we need to take a hard look at the structure of public and private retirement systems and reinforce financial literacy among beneficiaries. With the benefit of some calm, I was able to engage my wife more productively in a discussion about retirement. Unfortunately, a review of my investment spreadsheet indicated that I will have to work until I am 92 before I can quit. Carl Tannenbaum is SVP and chief economist, Northern Trust Corp., and incoming chairman of ABA’s Economic Advisory Committee.